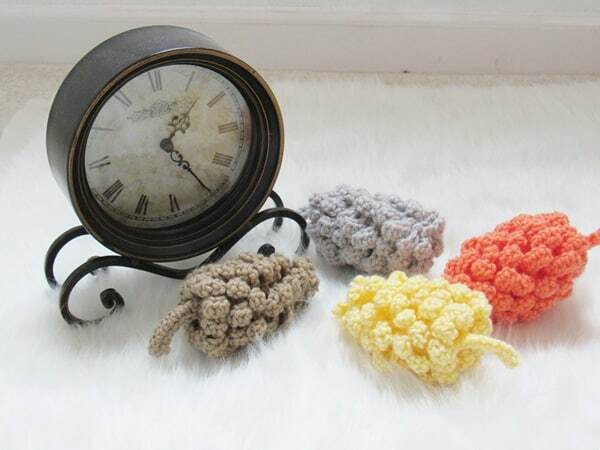 Make these cute crochet decor project to adorn your home this fall. 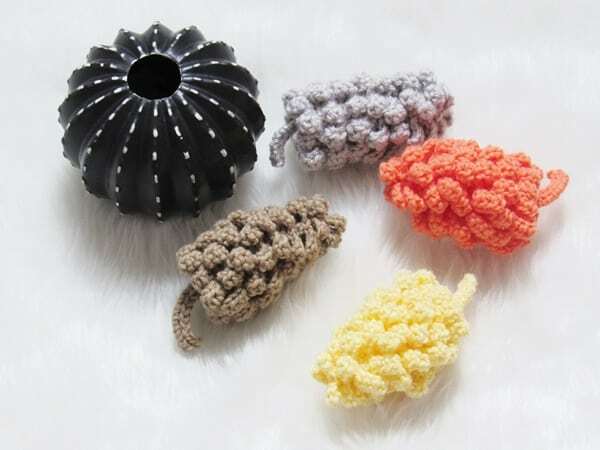 I am dipping my toes into Amigurumi for the first time and I am super excited about it. 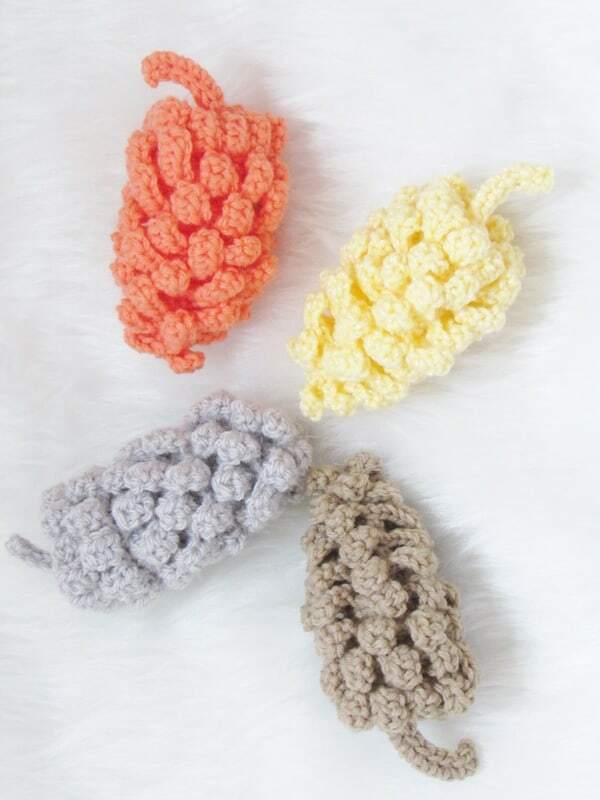 Please leave your comments and let me know what you think of my first attempt at Amigurumi-Pinecones! 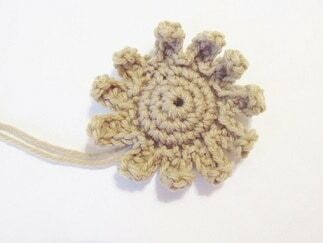 I was inspired by the felt pinecones on Pinterest to make my own crochet version. I love everything about the pinecones, their shape, the way the petals are stacked and how they scream fall, my favorite season of the year. 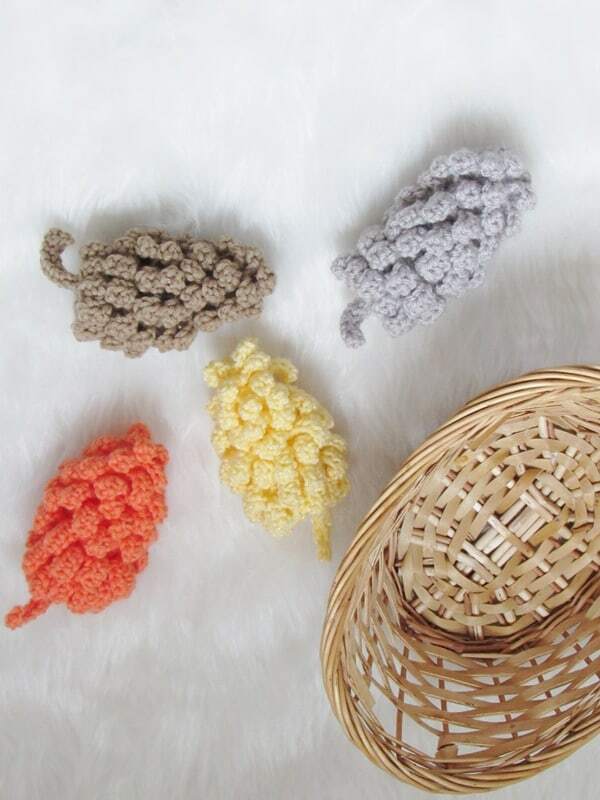 They make the perfect project for your leftover skeins of yarn. 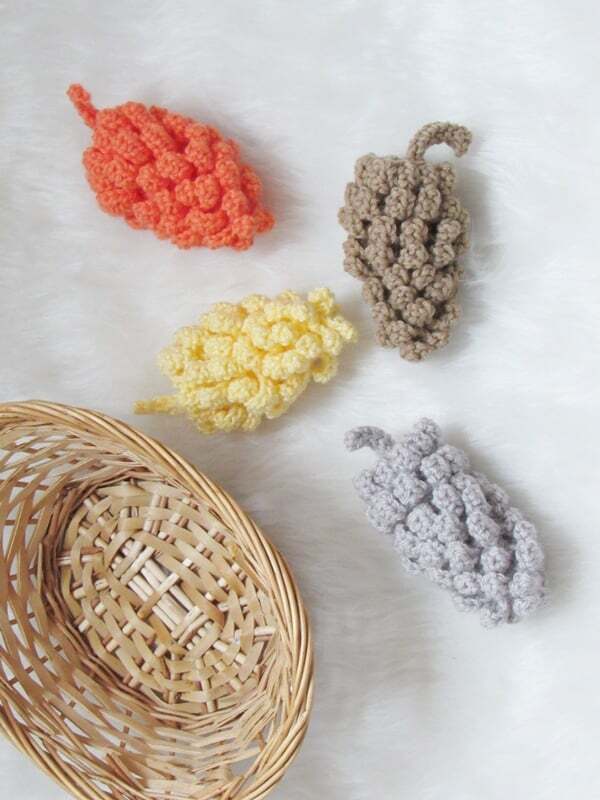 Incorporate into your fall Decor and use up those babies. While designing these pinecones, I visualized them as flowers stacked on top of each other. I tried working both from the bottom up and the top down. I decided to stick with the bottom up design as that seemed to work better for me. 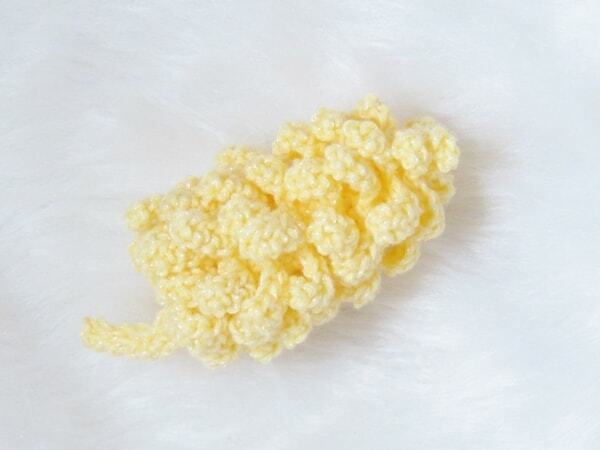 You can work from the free pattern below or purchase an Ad-free PDF for $1.99 here. The pattern will be emailed to you. I had made them last week but forgot to take full notes. I had to remake them and then write the pattern. I will never make that mistake again, lesson learned! Do not get intimidated by the number of rows. They are just repetition of the same 3 steps and you will quickly get a hang of it. The rows have only been spelled out to make it easy for beginners. 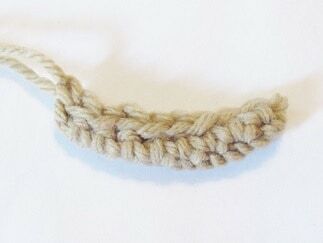 DK weight, size 3 yarn. Baby Bee Sweet Delight yarn in colors Sun Kisses, Angel and Carrots were used for the orange, gray and brown pinecones. 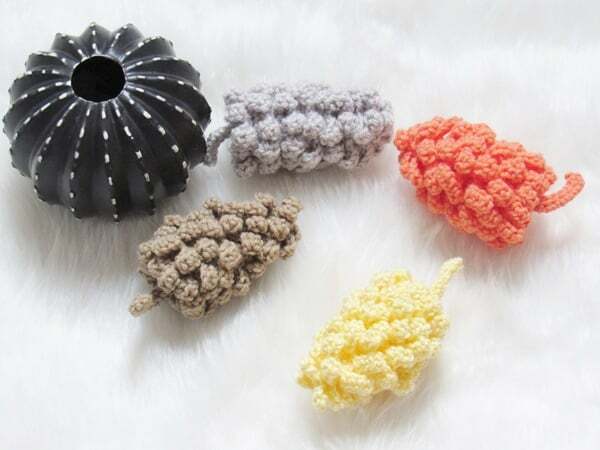 The gray pinecones were made using color Fog Gray from Deborah Norville’s Everyday Baby yarn. 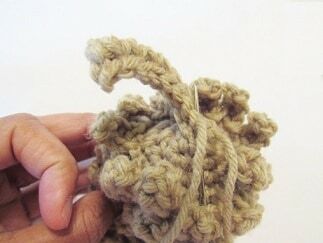 Small amounts of polyfill or yarn scraps for filling. 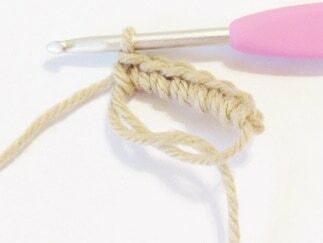 Tapestry needle to weave in the face. Around 50 yards for a pinecone. About 4 inches long not including the stalk. 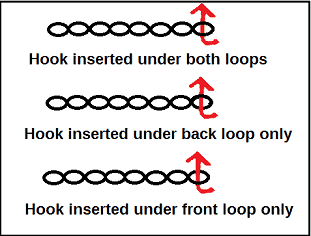 Working in the Front Loops only: Instead of inserting your hook under both the loops of a stitch, insert your hook only under the loop that is close to you while leaving the back loop free behind your work. See the pic below. Note: You do not turn at the end of any of the rounds. 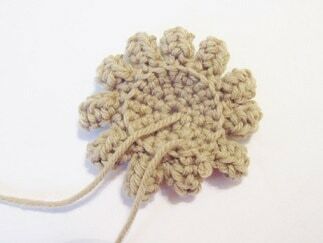 Note: Each petal is worked across 2 sts as shown above. 4. One layer of petals completed. 7. 2 Layers of petals completed. 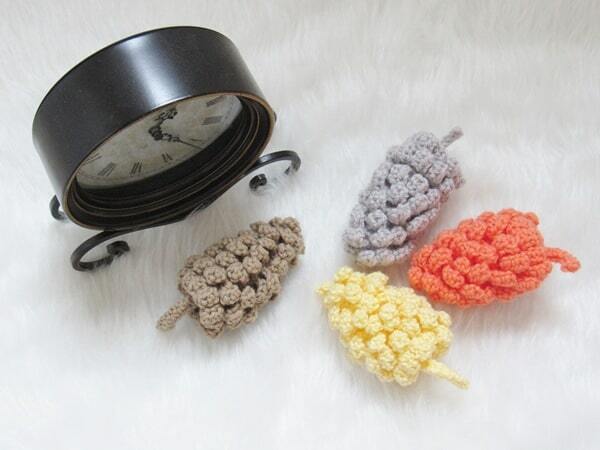 Note: Stuff your pinecone with some polyfill or yarn scraps now. Don’t fill it up to the edge or you won’t be able to work the next row. You should keep stuffing it as you build it up. Row 3: Sl st the first and the last rows together to form a thin tube. 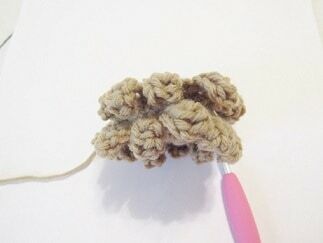 Fasten off with a long tail for sewing. 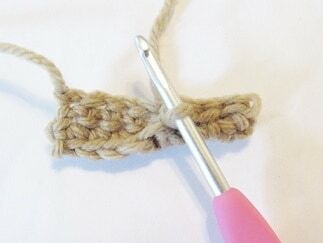 Sew the stalk to the base of the pinecone as shown. Weave in the tail left. 10. 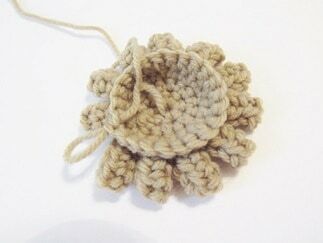 Sew the stalk onto the base of the pinecone. If you enjoy making cute stuff, you might also like my Donut Costers found here.